The American economy is in the doldrums. And has been for most this century thanks to bad policy under both Obama and Bush. So what’s needed to boost growth and create jobs? A new video from Learn Liberty, narrated by Professor Don Boudreaux (who also was the narrator for Learn Liberty’s superb video on free trade vs. protectionism), examines how to get more people employed. A very good video. There are three things that grabbed my attention. Second, so-called stimulus packages don’t make sense. Yes, some people wind up with more money and jobs when politicians increase spending, but only at the expense of other people who have less money and fewer jobs. Moreover, Don correctly notes that this process of redistribution facilitates cronyism (the focus of another Learn Liberty video) and corruption in Washington (an issue I’ve addressed in one of my videos). 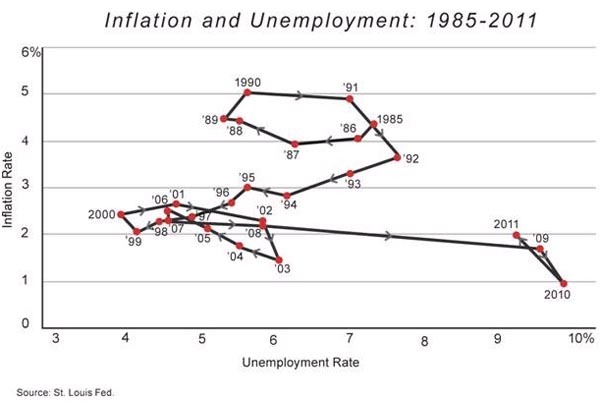 Third, free markets and entrepreneurship are the best routes for more job creation. 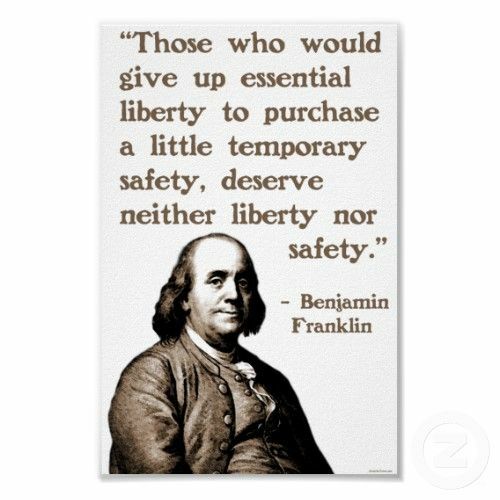 And that requires less government. Don also correctly condemns occupational licensing rules that make it very difficult for people to get jobs or create jobs in certain fields. The entire video was very concise, lasting less than four minutes, so it only scratched the surface. For those seeking more information on the topic, I would add the following points. Businesses will never create jobs unless they expect that new employees will generate enough revenue to cover not only their wages, but also the cost of taxes, regulations, and mandates. This is why policies that sometimes sound nice (higher minimum wages, health insurance mandates, etc) actually are very harmful. Redistribution programs make leisure more attractive than labor. This is not only bad for the overall economy because of lower labor force participation. This is why policies that sometime sound nice (unemployment benefits, food stamps, health subsidies, etc) actually are very harmful. Let’s augment Don’s video by looking at some excerpts from a recent column in the Wall Street Journal by Marie-Joseé Kravis of the Hudson Institute. In economics, as far back as Joseph Schumpeter, or even Karl Marx, we have known that the flow of business deaths and births affects the dynamism and growth of a country’s economy. Business deaths unlock resources that can be allocated to more productive use and business formation can boost innovation and economic and social mobility. For much of the nation’s history, this process of what Schumpeter called “creative destruction” has spread prosperity throughout the U.S. and the world. Over the past 30 years, however, with the exception of the mid-1980s and the 2002-05 period, this dynamism has been waning. There has been a steady decline in business formation while the rate of business deaths has been more or less constant. Business deaths outnumber births for the first time since measurement of these indicators began. Why has entrepreneurial dynamism slowed? What’s happened to the creative destruction described in a different Learn Liberty video? 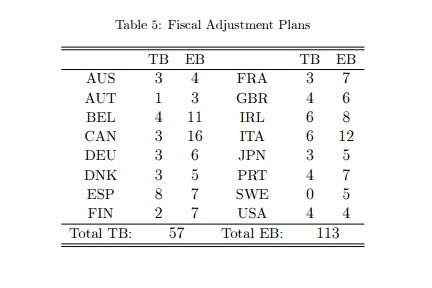 Unsurprisingly, government bears a lot of the blame. Many studies have also attributed the slow rate of business formation to the regulatory fervor of the past decade. …in a 2010 report for the Office of Advocacy of the U.S. Small Business Administration, researchers at Lafayette University found that the per employee cost of federal regulatory compliance was $10,585 for businesses with 19 or fewer employees. Wow, that’s a powerful real-world example of how all the feel-good legislation and red tape from Washington creates a giant barrier to job creation. And it’s worth noting that low-skilled people are the first ones to lose out. P.S. My favorite Learn Liberty video explains how government subsidies for higher education have resulted in higher costs for students, a lesson that Hillary Clinton obviously hasn’t learned. P.P.S. Perhaps the most underappreciated Learn Liberty video explains why the rule of law is critical for a productive society. Though the one on the importance of the price system also needs more attention. P.P.P.S. And I’m a big fan of the Learn Liberty videos on the Great Depression, central banking, government spending, and the Drug War. And the videos on myths of capitalism, the miracle of modern prosperity, and the legality of Obamacare also should be shared widely. At the risk of understatement, I’m not a fan of Keynesian economics. The disdain is even apparent in the titles of my columns. And these are just the ones with some derivation of “Keynes” in the title. I guess subtlety isn’t one of my strong points. That being said, there are some elements of Keynesian economics that are reasonable. I’ve written, for instance, that reductions in government spending can be temporarily painful because labor and capital don’t get instantaneously reallocated. And I don’t object to the notion of shifting government outlays so they take place when the economy is weak (assuming, of course, that the spending is for a sensible and constitutional purpose). So I was very interested to see that Tyler Cowen and Alex Tabarrok of George Mason University have a new video on fiscal policy and the economy as part of their excellent series at Marginal Revolution University. Interestingly, “Keynes” is mentioned only once, and then just in passing, even though the discussion is about discretionary Keynesian fiscal policy. Here are my thoughts on the video. Near the beginning, Alex discusses how an economic shock can lead to a downturn as households cut back on their normal expenditures. That’s quite reasonable, but I wish there had been some acknowledgement that negative shocks are often the result of bad government policy (i.e., the mistakes that caused and/or exacerbated the recent financial crisis or the Great Depression) . There was no discussion of how government can put money into the economy without first taking the money out of the economy via taxes or borrowing (see cartoon below, or my video on the topic). One can argue, of course, that Keynesian policy leads to more consumer spending by borrowing money from credit markets and giving it to people, but doesn’t that simply lead to less investment spending? Perhaps there’s an implicit hypothesis that banks will just sit on the money in a weak economy, or maybe the assumption is that the government can artificially boost overall spending in the short run by borrowing money from overseas. Analysis of these issues, including the tradeoffs, would be valuable. Because of my concerns about government inefficiency, I enjoyed the discussion about targeting vs timeliness, but Keynesians only care about having the government somehow dump money into the economy. And they’ll use any excuse, even a terrorist attack. Tyler point out that the textbook view of Keynesian economics is that governments should run deficits when there’s a downturn and surpluses when the economy is strong, but he is understandably concerned that politicians only pay attention to the former and ignore the latter. Raising unemployment benefits is not the win-win situation implied by the conversation since academic research shows that longer periods of joblessness when people get money for not working. I’m not convinced that adjusting the payroll tax will have significant benefits. What’s the evidence that companies will make long-run hiring decisions based on short-run manipulations of the tax? The discussion at the end about fiscal rules got me thinking about how Keynesians should support a spending cap since it means spending can still climb during a recession (even if revenues fall). Of course, the tradeoff is that they would have to accept modest spending increases when the economy is strong (and revenues are surging). Here’s an amusing cartoon strip on Keynesian stimulus from the same artist who gave us gems on the minimum wage and guaranteed income. P.S. Since today’s topic is Keynesian economics here’s the famous video showing the Keynes v. Hayek rap contest, followed by the equally entertaining sequel, which features a boxing match between Keynes and Hayek. And even though it’s not the right time of year, here’s the satirical commercial for Keynesian Christmas carols. Back in 2010, then-House Speaker Nancy Pelosi actually claimed that paying people not to work would be good for the economy. Wow, that’s almost as bizarre as Paul Krugman’s assertion that war is good for growth. Professor Dorfman of the University of Georgia remembers Pelosi’s surreal moment and cites it in his column in Forbes, which debunks the Keynesian assertion that handouts create growth by giving recipients money to spend. It is true, of course, that the people getting goodies from the government will spend that money, which also means more money for the merchants they patronize. People who favor redistribution for other purposes often try to convince others to support them on the grounds that their favored policies will also create economic growth. …let’s review the story as told by those in favor of redistribution. When the government provides benefits to people without much income or spending power, those people will immediately go out and spend all the money they receive. This spending creates an economic multiplier effect as those who get the dollars re-spend some of them… There is nothing particularly wrong with the above story as far as it goes. Economic spending does create more spending as each person who gains income then spends some of that income somewhere else. 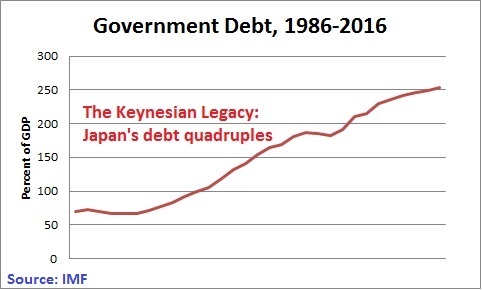 But there’s always been a giant hole in Keynesian logic, as Prof. Dorfman explains. The redistribution advocates always forget to consider one part: where did the money handed out in government benefits come from? …There are three possible answers to that question: the money was raised in taxes, the money was borrowed from an American, or the money was borrowed from abroad. The fact that the money came from someplace is the key because for the government to have money to hand out it must first take it from somebody. I would add a fourth option, which is that the government can just print the money. But we can overlook that option for the moment since only true basket cases like Venezuela go with that option. And even though we have plenty of policy problems in America, we’re fortunately a long way from having to finance the budget with a printing press. So let’s look at Dorfman’s options. 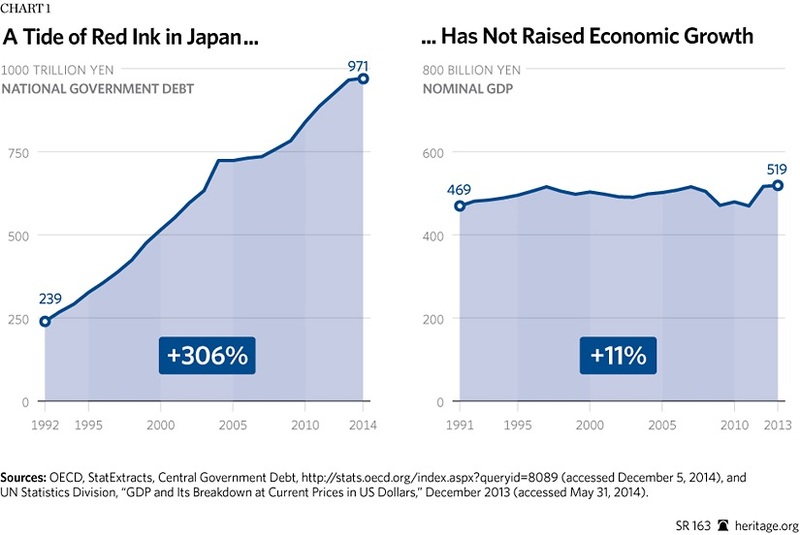 When governments tax and borrow from domestic sources, all that happens is that spending get redistributed. If the government raised the money in taxes, then the people paying the taxes have less money to spend in the exact amount that is going to be handed out. …somebody’s spending power was reduced by the exact amount that somebody else receives. …If the money is borrowed from an American, the same thing happens. The person lending the money now either doesn’t spend the money or cannot save the money. When money is saved, banks lend it out. That borrower intends to spend the money (otherwise, why borrow?). When the money is lent to the government instead of being put in the bank, the loan and associated spending it would have created disappear. And the same is true even when money is borrowed from foreign sources. …the final hope for economic growth from government transfers would be if the government borrowed the money from abroad. This could work, as long as the money otherwise would not have appeared in the U.S. economy. For example, if China sells us products, they end up with dollars. The question is: if they don’t use those dollars to buy Treasury bonds, what will they do instead? The answer is that the dollars generally have to end up back in the U.S. Even if China turns those dollars into euros and buys German bonds instead, somebody else now owns those dollars and will spend them in the U.S. in some fashion (buying products, companies, or investments). Prof. Dorfman explains that Keynesianism is merely a version of Bastiat’s broken-window fallacy. …the claimed economic stimulus from giving money to the poor is offset by the lost spending we do not get from the original holder of the money. …this is a classic example of a famous economic principle: the broken window fallacy. In the fallacy, townspeople rejoice at the economic boost to be received when a shopkeeper must spend money to replace a broken window. What they miss is that absent the broken window, the shopkeeper would have bought something else with her money. In reality the economy is unchanged in the aggregate. Well said, though allow me to augment that final excerpt by pointing out that the economy actually does change when income is redistributed, albeit in the wrong direction. This is because many redistribution programs give people money, but only if they don’t work or earn only small amounts of income. And less labor in the economy means less output. In effect, redistribution programs create very high implicit tax rates on being productive, which is why welfare programs trap people in government dependency. Last but not least, let’s preemptively deal with a couple of Keynesian counter-arguments. That’s true, but irrelevant. Even if other people are more likely to save, the money doesn’t disappear. As Prof. Dorfman explained, money that goes into the financial system is lent out to other people. At this point, a clever Keynesian will argue that the money won’t get lent if overall economic conditions are weak. And there is some evidence this is true. But those weak conditions generally are associated with periods when the burden of government is climbing, so the real lesson is that there’s no substitute for a policy of free markets and small government. P.S. Here’s the video I narrated for the Center for Freedom and Prosperity about Keynesianism. P.P.S. Advocates of Keynesian economics make some very weird arguments to justify more government spending.